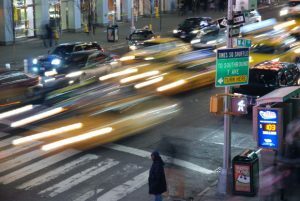 NEW YORK – Your risk of getting seriously injured in a car crash goes up with every mile per hour. In fact, nearly every accident over 60mph is fatal to pedestrians while 90-percent could survive a car crash at 25mph. A Manhattan car accident lawyer at Cellino & Barnes says speed is clearly dangerous and often deadly but many places in American still combine high speeds with at-risk pedestrians. 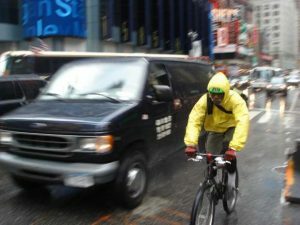 According to recent statistics, a New Yorker is seriously injured by a vehicle every two hours. Since 2014, the city has made several changes in the hopes of reducing the number of accidents and last year, New York recorded the fewest traffic deaths since 1910. Many other cities haven’t dropped their speed limits. In fact, speed limits have increased on average and vehicles can travel as fast as 80mph in some states. If they’re not reducing speed limits, cities are finding unique ways to enforce active speed limits. The National Association of City Transportation Officials found that lane width effectively reduced a driver’s speed. But lanes can only get so narrow. Manhattan car accident lawyers at Cellino & Barnes say in the end, it’s up to the driver to travel as safely as possible and adhere to the local road laws and speed limits. The attorneys at Cellino & Barnes have investigated thousands of car crashes and Cellino says speed is often a factor. If you or a loved one has been injured by a speeding driver, you may be entitled to compensation. The Manhattan car accident lawyers at Cellino & Barnes have helped recover more than $1.5 billion for their clients. Contact them today for a free consultation. BUFFALO, N.Y. – The U.S. Food and Drug Administration (FDA) has ordered a recall of sunflower seeds sold in stores across more than 24 states, including New York. According to a federal spokesperson, some of the seeds may be contaminated with Listeria monocytogenes, a species of bacteria which can cause serious infections and illnesses. 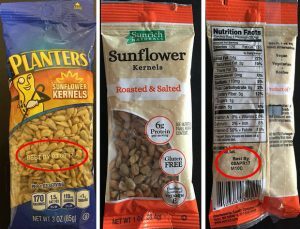 A related recall also warns of listeria contamination in sunflower kernels sold in Wegmans and Tops grocery stores between March 11, 2016 and May 21, 2016. SunOpta supplies sunflower kernels for First Source products. So far, no illnesses have officially been reported but a Buffalo listeria lawyer at Cellino & Barnes says the illness can be severe and sometimes deadly. Listeria can cause serious infections and symptoms include high fever, stiffness, abdominal pain, nausea, diarrhea, and a severe headache. If you’ve experienced any of these symptoms and believe they are related to listeria-tainted sunflower seeds, contact a Buffalo listeria lawyer at Cellino & Barnes today for a free consultation. BUFFALO, N.Y. – For just the third year in history, the number of deadly motorcycle accidents soared over 5,000 in 2015. That’s up 10% from 2014. According to the Governors Highway Safety Association, 5,010 motorcyclists were killed in traffic crashes last year and it was the first time fatalities topped 5,000 people since 2008. The data and trends are preliminary but a Buffalo motorcycle accident lawyer at Cellino & Barnes says it shows the need for better driver education and awareness. The fatality rate for motorcyclists is 26 times higher than those riding in passenger vehicles and in some states, motorcycle deaths represented 15% to 20% of all road fatalities. In most states, motorcycles represent only a small percentage of registered vehicles and miles traveled. More than 90% of the riders killed last year were men, the study said. 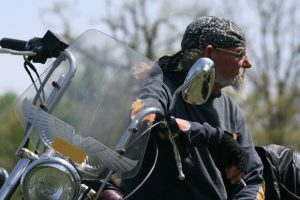 Older riders have historically been most at risk while on the chopper but last year, bikers aged 20-29 had the highest share of deadly accidents, representing nearly 25% of the total. Riders over the age of 50 were not far behind. The report also emphasized the need for safer legislation, including helmet laws researchers say would immediately cause riding deaths to drop. In 2013, the National Highway Transportation Safety Administration estimated that 715 motorcycle deaths could have been prevented if the rider had been wearing a helmet. Cellino & Barnes recently expanded its Grider Street office in Buffalo to accommodate victims across Western New York. If you’ve been injured in a crash, our Buffalo motorcycle accident lawyers have a track record of helping riders get the best result possible. Contact a lawyer today for a free consultation. MELVILLE, N.Y. – Big rigs today are loaded with up to 80,000 pounds of cargo barreling down the highway at speeds over 55mph. Now image that same truck without a driver. A group of engineers wants to make the self-driving truck a reality. The group, made of 40 former employees of self-driving giants like Google, Apple, Tesla, and others formed a new company called Otto with the goal of transforming the commercial trucking industry. Before the fear (or gratitude) sets in, a Long Island truck accident lawyer at Cellino & Barnes says initially, all self-driving vehicles should still have a driver at the wheel. Otto plans to attach sensors, cameras and lasers to big rigs that will eventually navigate more than 220,000 miles of US highways with little assistance from a driver. Currently, the plan will only put the machines in control on the highways. A driver would still need to be present when entering city streets. Long Island truck accident lawyers say the most dangerous truck accidents occur in heavily populated areas or on small country roads. Attorneys say trucks equipped with sensors and blind spot cameras are already on the roads – but the technologies attached to these big rigs are tools to help the driver avoid a crash. Leaving the truck in the hands of the machine could have catastrophic consequences. Otto is currently eyeing the market for 1,000 truckers to volunteer their vehicles which would have self-driving kits installed in the cabs. Otto said the volunteers would still be expected to take the wheel in emergencies and monitor the truck to make sure it is following local driving laws. If the company gets to see its ultimate goal, more than 5 million trucks could be equipped with driverless technology in the coming decades. On one end, it would solve a truck driver shortage the nation is currently facing but on the other hand, are drivers willing to trust the machine? 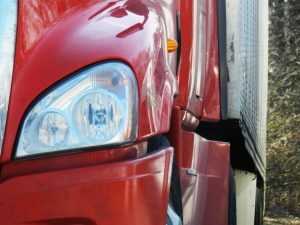 Long Island truck accident attorneys say there are currently 3,500 deadly big rig crashes every year and many of the crashes are linked to driver fatigue. If you’ve been injured in a big truck accident, the Long Island truck accident lawyers can help you obtain the best result possible. Contact a lawyer today or visit the Cellino & Barnes LinkedIn page to learn more about how Cellino & Barnes has helped thousands of clients get the compensation they needed. ROCHESTER, N.Y. – The mercury is finally rising and the curbsides are looking green. For thousands of New Yorkers, it’s motorcycle season. This time of year also makes the ride more dangerous. 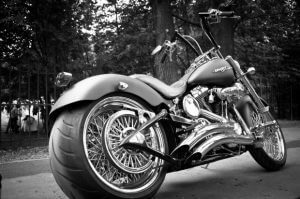 A Rochester motorcycle accident lawyer at Cellino & Barnes says many motorists – usually driving heavier vehicles – are not fully aware of the sudden surge of bikers on the road. The Insurance Institute for Highway Safety (IIHS) reported a total of 4,295 motorcyclists were killed in crashes last year – a continuation of a deadly trend that started in 1998. According to the institute’s statistics, motorcycle deaths accounted for 13-percent of all traffic deaths and it has more than doubled since 1997. IIHS also reported a recent spike in the number of accidents involving older drivers. In 1996, drivers over the age of 50 only accounted for 9-percent of the nation’s fatal motorcycle accidents. By 2014, that number had risen to 36-percent. For years, motorcyclists have been promoting safe driver education but the numbers continue to rise. That’s why the Rochester motorcycle accident attorneys are urging drivers to be aware of the increase of motorcycles on the road and be cautious on the roads. Rochester motorcycle accident lawyers say many of the men and women killed are experienced riders who know the roadways across Western New York. If you or a loved one has been injured in a motorcycle accident, Cellino & Barnes has offices across New York State and represents injured victims from all 50 states and Canada. Contact a Rochester motorcycle accident attorney today for a free consultation. What’s a Traumatic Brain Injury? BUFFALO, N.Y. – More the 1.7 million people sustain a traumatic brain injury every year in the United States. The results can be life changing and more than 5.3 million people have long-term disabilities as a result of the injury. Concussion – a type of TBI that may or may not involve a loss of consciousness; a person can recover in a relatively short period of time but may suffer long-lasting effects. Post Concussion Syndrome – persistent concussive symptoms that can last beyond three weeks. A Buffalo car accident lawyer at Cellino & Barnes says although brain injuries have been notoriously associated with sports, they are actually more common in car crashes. The Centers for Disease Control and Prevention (CDC) estimates more than a million Americans are treated and released from emergency rooms after suffering a TBI and the injury is so dangerous that it claims 52,000 lives each year. According to CDC statistics, car accidents are the leading cause of TBI-related death and rates are highest among men between 20 and 24 years old but Buffalo car accident lawyers say anyone can suffer this debilitating injury. The Buffalo car accident lawyers at Cellino & Barnes represent clients across Western New York, including Buffalo and Rochester. If you’ve been injured in a car accident, your injuries may have long-term effects. That’s why Cellino & Barnes offers free consulations. Call a Buffalo car accident lawyer today to learn more about how Cellino & Barnes can help. 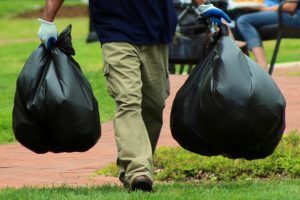 NEW YORK – They take out the trash and in some cases, workers are risking their lives to handle your garbage. It’s a dirty and dangerous job and safety advocates are calling for immediate changes. According to the New York Committee for Occupational Safety & Health (NYCOSH), commercial trash companies routinely break safety rules and have historically forced workers to man faulty equipment with little to no training. The new report claims 71-percent of the sanitation workers surveyed said they’d been injured on the job. A New York workers compensation attorney at Cellino & Barnes said some of the safety and health violations reported in the last year could be considered criminal. Some of the dirty and dangerous accidents were reported in the full NYCOSH report, including four deaths at one company in less than four years. In 2005, a Queens recycling worker was struck and killed by a heavy construction loader. The same company reported three more deaths just a few years later when workers were asphyxiated by hydrogen sulfide gas. NYCOSH said that the commercial waste companies are often non-union and they routinely violate legal requirements with impunity. If you or someone you know has been hurt on the job, a New York workers compensation lawyer at Cellino & Barnes can help you obtain the best result possible. Cellino & Barnes has helped hard-working New Yorkers obtain over $1.5 billion and the firm has office locations across New York. If you’ve been injured, contact a New York workers comp attorney today for a free consultation. NEW YORK – In today’s corporate world, businesses and brands are like trading cards: they’re bought and sold at a rapid pace. Even nursing homes are switching hands between corporate owners – with some of the transactions occurring just months apart. In many cases, it’s raising questions about the quality of care residents are receiving in New York nursing homes. 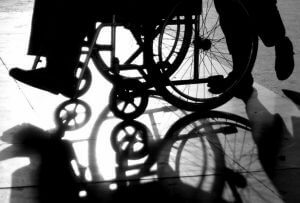 According to a Harvard study published this week, several corporations are targeting nursing homes with histories of health and safety violations – and the difficulties tend to persist far after the purchase is complete. A nursing home negligence attorney at Cellino & Barnes says the report’s findings highlight the need for transparency in an industry notoriously plagued by health and safety concerns. The Harvard study analyzed data from thousands of nursing home transactions between 1993 and 2010. According to the research, around 1,500 nursing homes changed hands every year. That’s about 26-thousand transactions. The sales typically involved corporate chains. Researchers said their study found a direct link between the number of times a facility was sold to the number of deficiencies. Nursing homes with steady ownership had fewer problems. Facilities that changed hands several times were found to have a long list of issues. Study authors noted that the transactions themselves did not necessarily bring the quality of life down. Instead, they concluded the transactions were a tell-tale sign of a problematic nursing home. The Harvard study did not say why there was such a high-rate of turnover in the nursing home industry but previous research has often linked this to frequent changes in government policies. One analysis claims safety problems arise in facilities with higher profit margins. Authors of that study claim for-profit facilities spend less on resident care, resulting in a lower quality of care. In many states, a nursing home sale may require a public hearing if residents and families petition their state health department but health officials say these transactions are rarely contested. The nursing home attorneys at Cellino & Barnes have studied the issue themselves and developed the Parent Care app to provide families with more information about area nursing homes and their violation histories. You can learn more about the Parent Care app or download it here. GARDEN CITY, N.Y. – The word “concussion” is commonly associated with sports and in many cases, parents are taking their children off the playing field out of concern for their safety. According to a new report, concussions are occurring more often – not just on the gridiron or on the skating rink but in your own backyard. A new study published by the Centers for Disease Control and Prevention found that traumatic brain injuries are steadily rising in frequency among children and most of the concussions resulted from playground injuries. Researchers poured over data from the National Electronic Injury Surveillance System from 2001 to 2013 and found that roughly 21,000 children under the age of 14 suffered brain injuries each year. A Long Island personal injury attorney with Cellino & Barnes says the new information shows the importance of parental supervision. 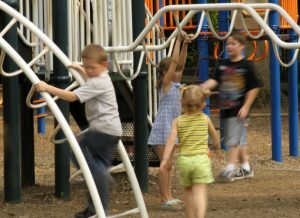 The study’s authors said playground developers and municipalities need to rethink strategies and redesign play areas to reduce the number of injuries and the severity of those injuries at playgrounds. “These may include improved adult supervision, methods to reduce child risk behavior, regular equipment maintenance, and improvements in playground surfaces and environments,” researchers wrote. The statistics found that only 3 percent of the children injured were hospitalized or taken somewhere for additional treatment. Most of the children were simply sent home after treatment in the ER and safety advocates suspect that many more injuries go unreported. 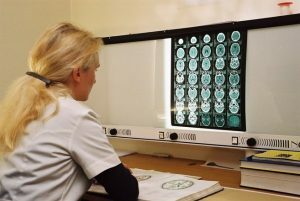 Long Island personal injury lawyers say traumatic brain injuries can happen almost anywhere and children are often more susceptible to such an injury. In some cases, your family may be entitled to compensation for your child’s injury. Cellino & Barnes has been recognized by Best Lawyers, you can easily find a Long Island personal injury lawyer near you for a free consultation.